Although we grill basi­cally year round, Memo­r­ial Day def­i­nitely seems the like the “offi­cial” start to the grilling sea­son. 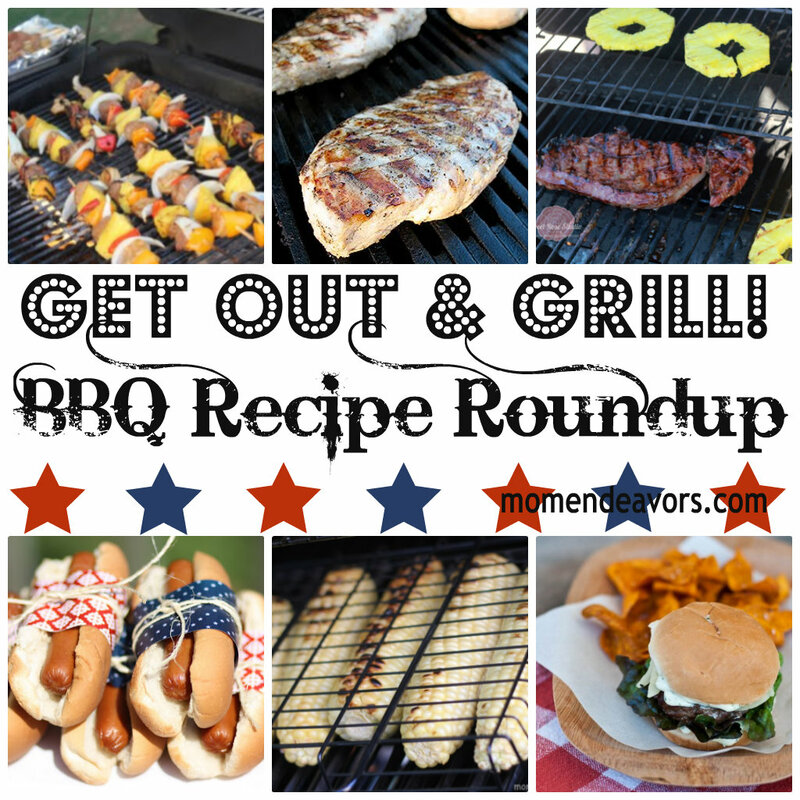 So, I decided to roundup some great grilling ideas from around the web and share them here for all your sum­mer BBQ needs! 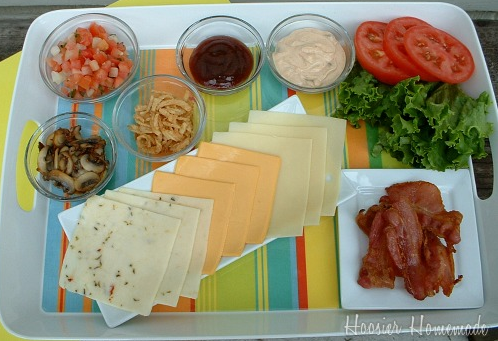 If you are look­ing for a way to “spruce” up your plain ‘ole burg­ers on the grill, why not cre­ate a burger bar like this one from Hoosier Home­made?! Such a great idea! 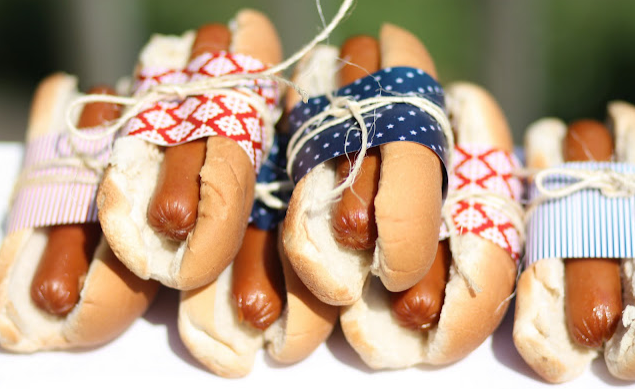 And, these wrapped hot­dogs are such a cute way to spruce up the table in a more patri­otic way–perfect for Memo­r­ial Day this weekend! With all those great main dishes, you cer­tainly need some good sides to go with. 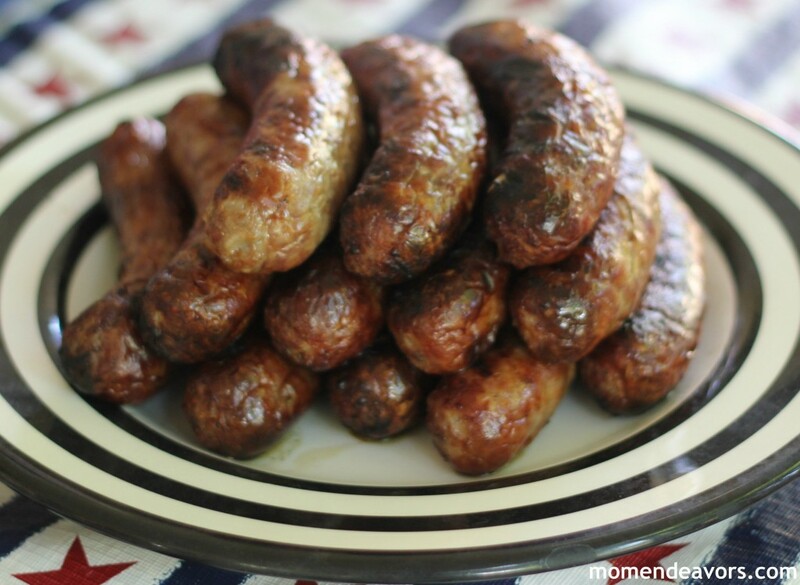 Here are a few that would go well–most of which are also made on the grill! How pretty is that grilled focac­cia from Sand and Sisal?! 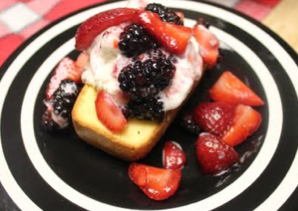 While you’re out­side & have the grill fired up any­way, how about try­ing some desserts on the BBQ?! What are YOUR favorite grilling recipes? « Great Grilled Brats & Corn on the Cob! All I’ve gotta say is um…. YUM!!! 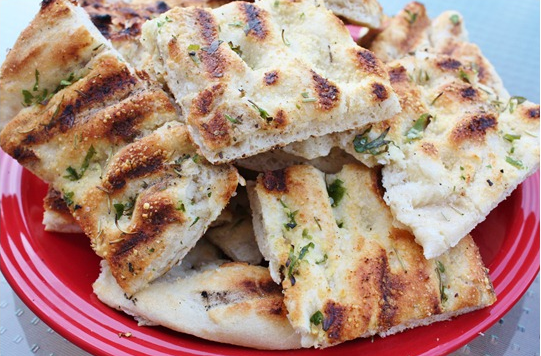 Thanks for featuring my Easy Grilled Focaccia! Happy Memorial Day! Great roundup!I hope you’ll share your best post of the week on my Friday Flash Blog Linky Party going on ALL weekend at The Jenny Evolution.